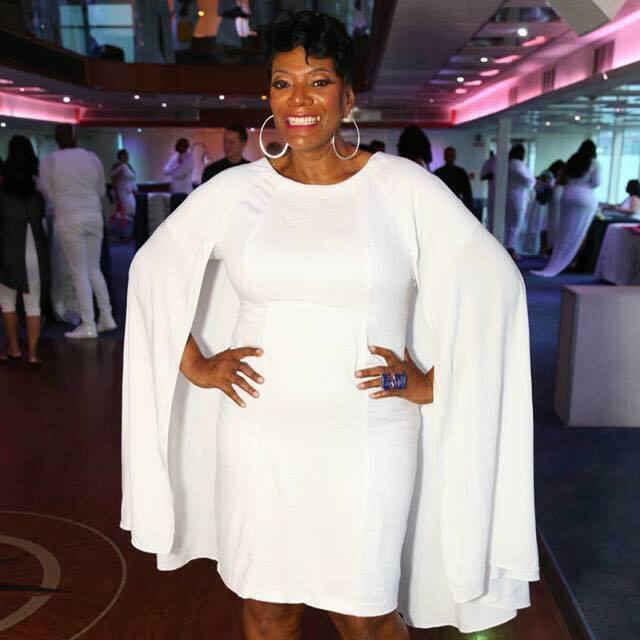 Gwen Devoe is a woman who wears many hats, including one as founder of Full Figured Fashion Week, the plus fashion industry’s annual marquee event held in New York City in June. While FFFW occurs only once a year, Gwen’s mission to deliver sophisticated fashion and inspiration to all women around the globe is now available in her namesake publication, Devoe Magazine. As a former plus model, Gwen has been a long- time advocate and supporter of increasing the visibility of full figured women on fashion runways. I got to chat with her recently on everything from empowerment to how social media has affected her business. Check out the Q&A below to see what advice Gwen has for aspiring plus models trying to break into the industry. Natasha: Out of all the things you’re involved with – which do you love the most? Gwen: Mentoring – even though most would think it would be event production. I have had several female colleagues and female bosses who were tremendous mentors to me. For years, I have worked with CEOs and Senior Level Managers and was a sponge; reading everything and figuring out what I needed to do to be successful. Essentially, once you learn to be a powerhouse in one field you can translate those skills into fashion. Personally, I still think that I am learning a lot of things. Natasha: Why did you create Full Figured Fashion Week? Gwen: I saw there was a need for it in the industry. It felt like it was the right time and I knew with my background in event production and various connections in the industry that I was qualified to produce an event like this. CLICK HERE to read more about the history of Full Figured Fashion Week! 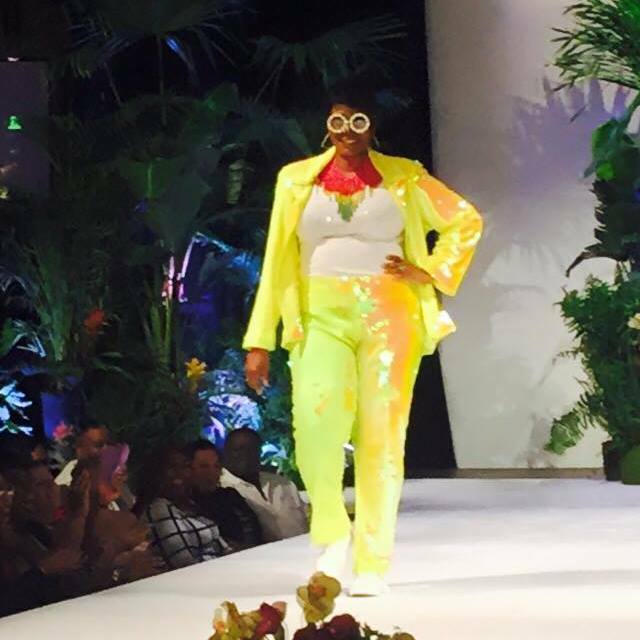 Natasha: What should we expect from Full Figured Fashion Week in 2016? Gwen: I Don’t know yet! We fly by the seat of our pants! It is important that we get feedback from our guests every year so that we can make changes and enhance future shows. Natasha: What are your thoughts on fashion and empowerment? Gwen: Fashion is empowering for women. But, women can be empowered without fashion. Fashion is really personal. I have always been an advocate of inclusion of all sizes on fashion runways. Fashion can bring everyone together. Natasha: How has the plus size industry changed since you were a model? Gwen: It is great to see the fruits from the labor of those in the industry who paved the way. Straight size retailers have added plus size lines. As long as we are a vocal community, we can’t be ignored. Some retailers are still struggling on how to give us what we want. We should weigh the pros and cons of what is going on. It would be nice to hear more of the pros of the industry. There have been many improvements, and we need to remember where we have come from. Natasha: What advice do you have for models? 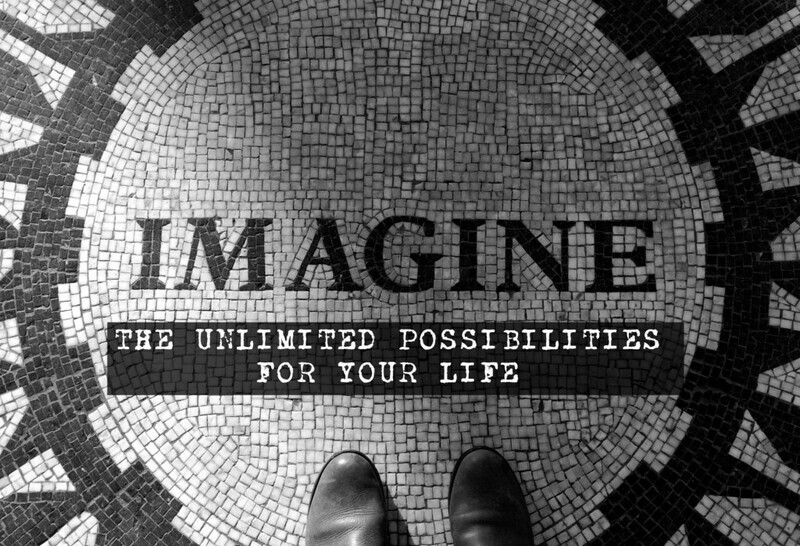 #3 – Set your goals and be realistic – successful people measure success by an outcome. When I was a model, I gave myself 5 years to get signed. When that did not happen, I knew it was time to move on. Natasha: How do you establish business relationships? Gwen: At times, the plus size industry can be cliquish. I try to be grounded and do what I need to do. Remaining easy going and open minded for collaboration is important. Natasha: What are your personal tips on being successful? Gwen: Stay focused but don’t take things too personally. You have to be able to listen. Put your ego away. Natasha: What is the best advice you have been given? Gwen: Shoot from the hip. I am a work in progress, but you always know where I stand. I am an activist for inclusion in fashion and focusing on the business of fashion. Natasha: Is there anything you wish you knew before you entered the plus size industry? Gwen: I wish I knew you everything! Actually, I wish I didn’t start as a model. When I was doing event promotion it was fun but I didn’t take it seriously. I probably would have stopped being a model earlier. Natasha: What are your thoughts on your “admirers” who have shows with similar names to Full Figured Fashion Week? Gwen: It is disappointing. I wish that the folks out there had more business maturity. If they came to me and talked about collaboration, I would have been happy to have that conversation. Sadly, people don’t have good business sense. Natasha: How has social media helped your business? Gwen: It has helped a zillion percent. I don’t have to leave my apartment to connect with the world. It has really helped with business branding. Personal branding has given me insight as to who I am. Natasha: When people think of you, what do you want to be known for? Gwen: I am crazy as hell! (Kidding) I am proud of the contribution that my team and I have made to the plus size industry. Essentially, being acknowledged for my contribution. In fact, you can check out for a documentary that I am a part of by NYU students on the plus size industry. Natasha: Last question, what book are you currently reading? Gwen: Who Moved My Cheese! Go and check it out. Previous articleThis Month’s Picks for 8 Bold Dresses! Next articleFall in Love with These 8 Fierce Looks to Usher in the Fall!